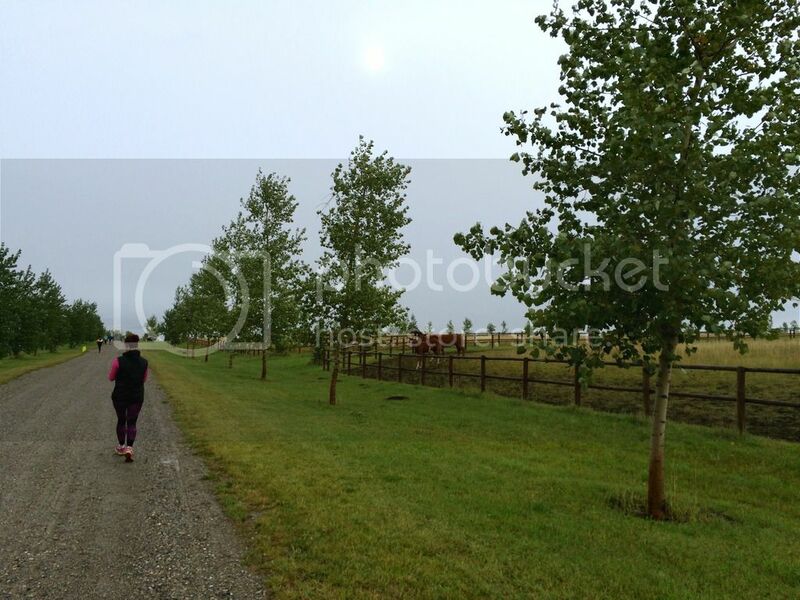 Thanks to some good old blogger peer pressure, I signed up for the Spruce Meadows 'Summer's Gone, Run On!' 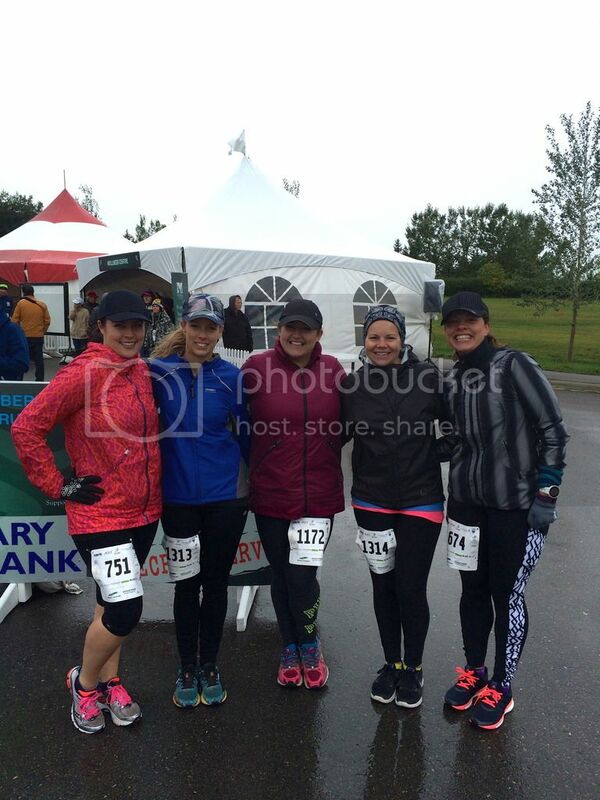 10K run this past Sunday. Since I didn't end up running a 10K at the LRPS run the weekend before, I figured it was a good way to get in a long distance before the Spartan Super (13K+!) coming up on Saturday. Of course, the promise of brunch afterwards never hurts either! This is the first year Spruce Meadows (which is an International Horse Sports venue here in Calgary, Alberta), has put on running races. 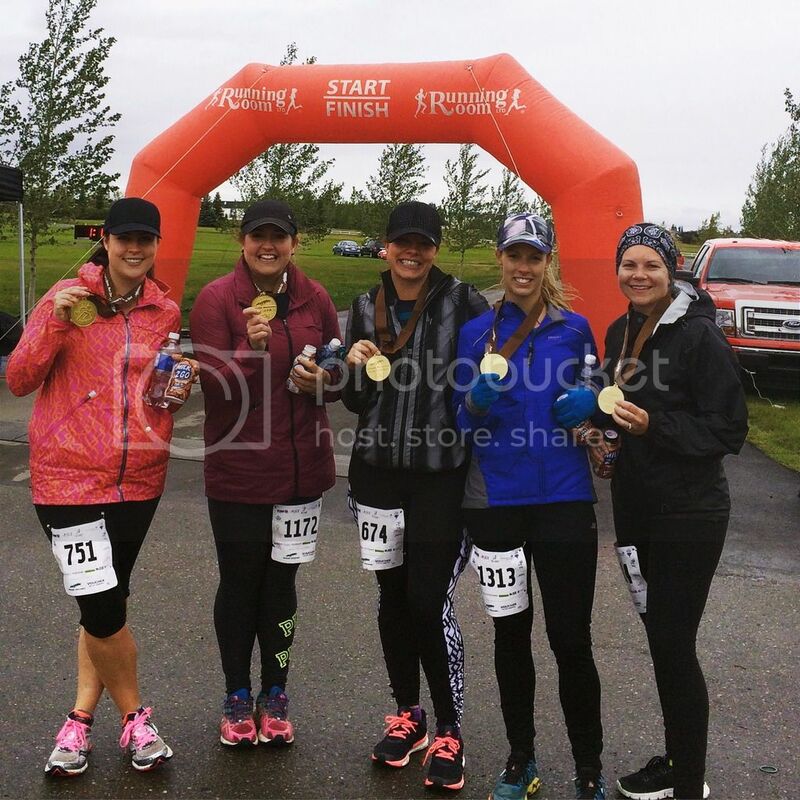 This year marked their 40th Anniversary, and as part of the celebration, they put out an entire race series, the Spruce Meadows Run Series, consisting of six different running events. 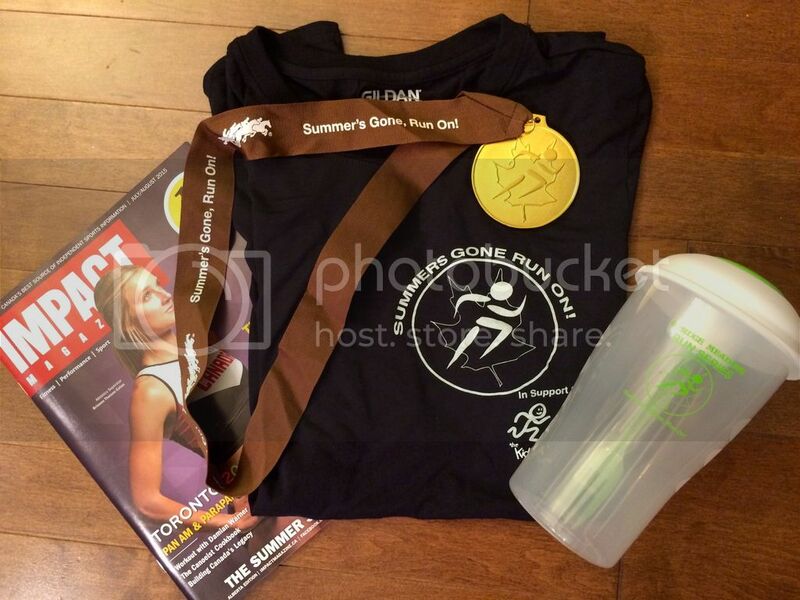 Each race benefits a different charity and community initiative. The Summer's Gone, Run On! one supported KidSport Calgary, which is a program that gives opportunity and access to children to play organized sports, who might not otherwise be able to due to financial reasons. I love causes like this that give back right in our own backyard! The race package from this run was pretty cool too. It included a t-shirt, a sports magazine and what I originally thought was just another protein shaker, but turns out is actually a salad-on-the-go container! Complete with a separate dressing container and a fork. Sully thought it was the greatest toy ever, and played with it most of the day, haha! And check out the sweet medal! It's huge and gold and pretty fantastic! Unfortunately, this past weekend was a cold one. Summer left over night, and winter gave as a sneak peak, with temperatures hovering around zero degrees Celsius (32F) on Sunday morning. Honestly, if I hadn't been meeting up with friends for this run, I probably would have crawled back into bed! I've always been a fair weather runner, so I found it challenging to dress for a cold run. I heat up quickly, and there's nothing I hate more than being overheated, especially when running, but I also didn't want to be freezing either. I'm not used to running in layers or anything much more than crops and a tank top. For Sunday's run, it was full leggings, a pullover over my tank and a light rain jacket over that. Plus, gloves and a buff to keep my head and ears warm. Ange, along with Jen and Laura, picked me up on the way to the race and we arrived around 8am, where we met up with Ashley. We picked up our race packages, and then sat in Ange's car while Ange got in a run BEFORE the race. Ya, you heard that right, that woman is a machine! Just before 9 a.m., we took our pre-race photo and then lined up at the start line. There wasn't a big turnout for this run, so it didn't take long get going. The first km was brutal. I was still cold and we immediately set out running into the wind and uphill. Tears were streaming down my face and I thought to myself there is no way I can do this for 10km. Just before the first km, we did eventually turn around which put us out of the wind and downhill. Things improved but I had no idea how I was going to do 9 more km's. Because it had rained all weekend, some of the course, the parts that had us going through the paddocks, had to be changed because those routes were too muddy. So I'm not sure what the original route would have looked like, but this one had several in and out parts as well as some zig-zagging through the parking lot. Around km 4 we hit another in and out. These are so tough for me mentally because you can see how far you have to go and then how far you will just have to come back. At least during this part we found ourselves running along the pastures where the horses were out. 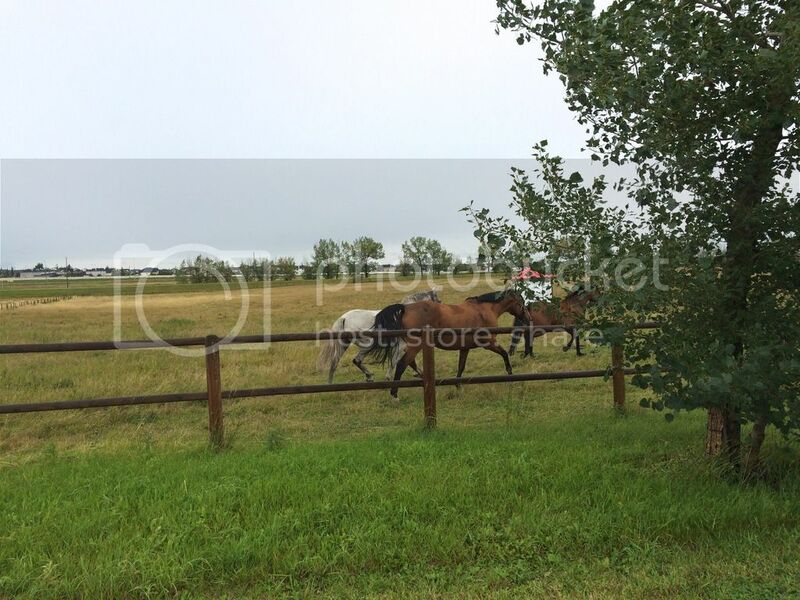 It was pretty cool experience as the horses would run up to the fence and then trot along beside you as you ran. I definitely pretended that they were cheering me on! At km 5 all I could think was that I would be done right now if I had just signed up for the 5K. It took me 6 km's to hit my stride. I finally felt like my legs were no longer made of lead and were moving almost effortlessly. This is the point where I started to feel great physically and could focus on how strong my legs and muscles felt as opposed to how hard the run was. Around this point, another runner caught up to my pace. We had passed each other back and forth a few times back around the pastures, but eventually our paces evened out. I was so grateful for her presence. She really pushed me to keep going even when my brain said quit. During the last 2 km, I could see the finish line through the trees on my right hand side, and just as you think the course is going to bend to the right towards the finish, you actually veer left for one last in and out (the same one at the beginning of the race). I almost could have cried! Mentally, I did not think I could do one more straight in and out, especially since the first part of it is a steady incline. The finish line felt miles away after that. 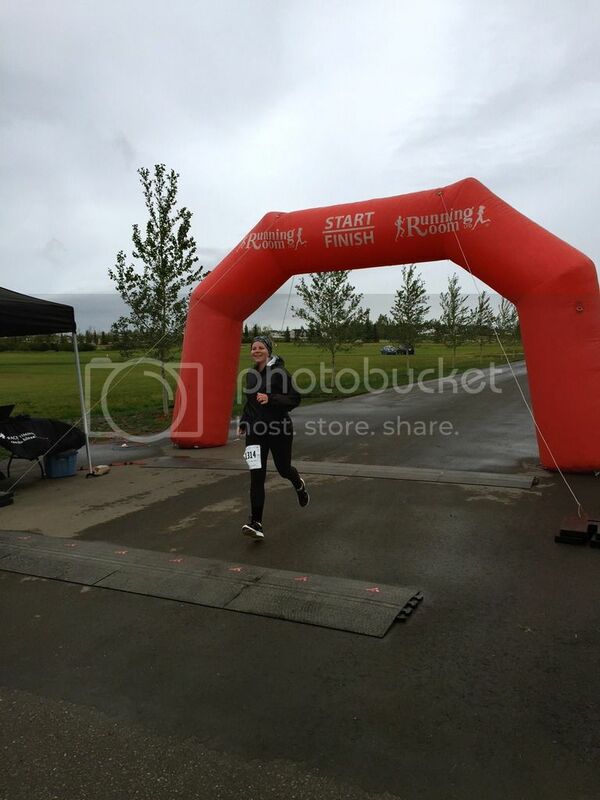 Once the finish line was finally in site, and only about a few hundred metres away, I sprinted, giving it everything I had. I knew I was the last of our group to cross the finish line, so it was extra nice to see them all there cheering for me! I couldn't help but grin ear to ear and I'm so grateful that Laura and Ashley even got my picture crossing the finish line. The course ended up measuring a bit short of 10K, at 9.7K, and my official time was 1:06:13! Can I still count that as a 10K PR even if the course was a bit off?! I'm so glad I got myself out there and can check off another 10K race on my list. I ended up walking way more than I ever have during a run, but not every race can be our best one. Afterwards, we took some post-race photos, but we were too cold to stick around for much more than that. Our entry fee included a free breakfast sandwich, which I took, but only ate a bit of since we had brunch plans about an hour later. 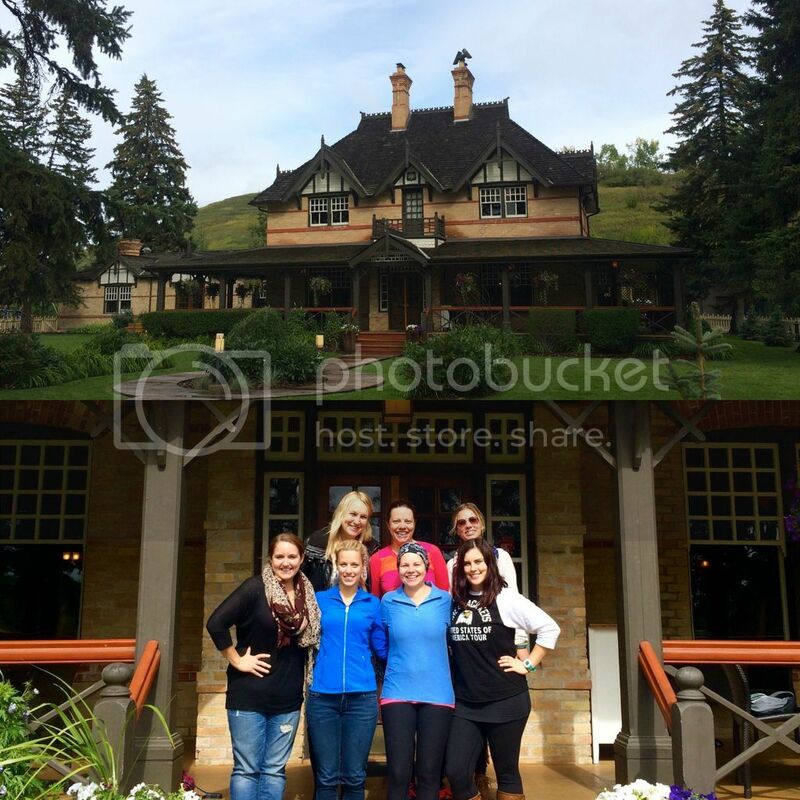 Jo and Sam met us for brunch at Bow Valley Ranche restaurant for an amazing meal! I almost always opt for the bacon and eggs when I eat breakfast out, but decided to treat myself instead and ordered the Stuffed French Toast. Seriously, it was amazing and I'm already trying to figure out how soon I can get back there to eat it again. Of course, celebratory mimosa's were a must, and I think it's fair to note that the serving was very generous. We also dined in the upstairs of the ranche, in our very own room, which was fancy and fun and we never had to worry about being too loud. There are two more races coming up in this series, but I'm hesitant to sign up for anything in the winter months! We shall see! What's the next race you're signed up for? Do you race in the winter? That last turn was definitely a mental struggle. Way to finish strong though, you looked great coming across the finish line. Awesome job! And you finished with a smile :) That is a must! Your brunch looks so yummy!! Your french toast looked so good!! And way to finish out that race - that weather SUCKED. It was delicious!! I need to try recreating it at home. I have a hard time getting dressed for running in winter too. I hate being too hot, but it's so hard to be freezing cold the first couple miles. And looks like a really neat (and delicious!) place for brunch. Right?! I just don't know how to approach winter running, if at all. Also, once the days get short again, I won't have much time, if any, once my husband gets home from work to get out there. Awesome time girl! I would totally count that as a PR! Considering battling the elements, you did great! YAY for brunch! It looks amazing! 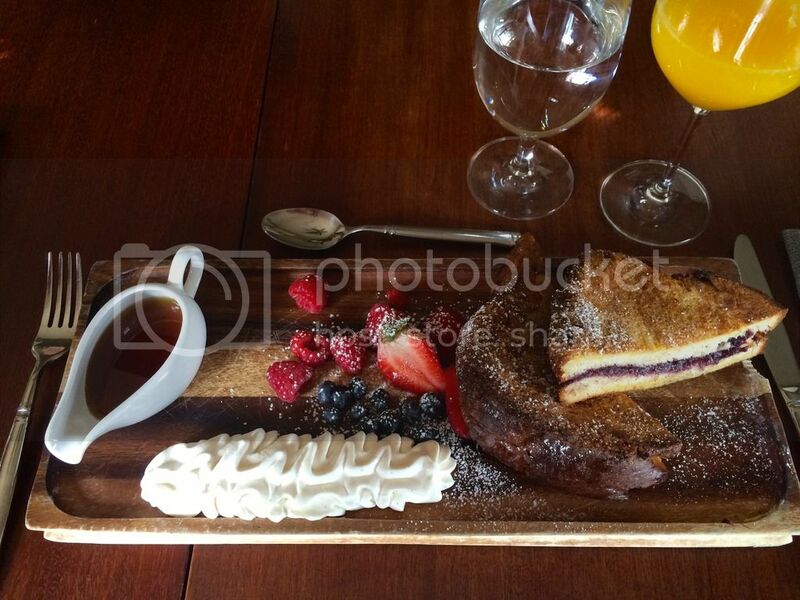 i want to go back for brunch again - you're invited! i 100% count that as a PR you did amazing and ran hard to the end. way to go, lady! Congrats on a great race!! Are you doing the one in October? Thanks! I haven't signed up…yet. I'm considering it, especially since it's so close to my house and it's a pretty neat route to run. You should do it too!